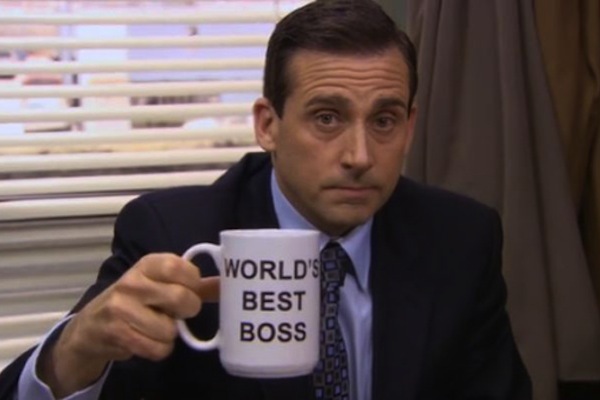 I love the television program The Office. The U.S. version, that is. (I'm unfamiliar with the U.K. version). The Office is funny, but not always in an over-the-top kind of way. Much of the humour is subtle, like a look from Jim in the background, or the presence of decorative items in Michael's office. Now there are some laugh-out-loud moments (pretty much any time Kevin speaks) and some awkward moments that are so unnerving, you can't help but laugh. The cast created a synergy that made the show more than the sum of its constituent parts. 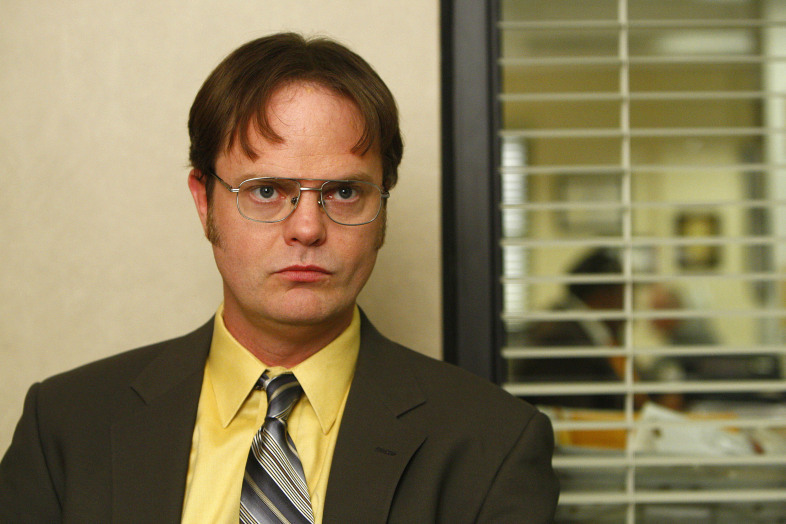 The funny thing is, I didn't really watch "The Office" when it originally aired. I caught an episode every now and then, but I didn't "get it". It's easy to miss nuance if you aren't paying attention. Luckily, the whole series is on Netflix and I can watch it all at my leisure (and I do). Sometimes, we aren't so lucky. Sometimes, by the time you realize something is great, it's gone or hard to find. 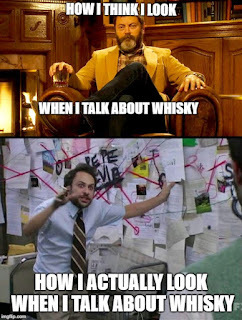 That may be the case with Benromach 10 Year Old Single Malt. If you wait too long to try it, it might be more expensive by the time you get to it or Benromach may be so popular that finding it might be hard (that's what she said!). Benromach is the smallest distillery in Speyside. They employ only 3 people. Yes, you read that right. Three people. They only produce about 200 000 litres of spirit per year. That may sound like a lot of whisky, but consider this: Glenlivet produces over 10 million litres of spirit per annum. The Benromach distillery opened its doors in 1898 near the town of Forres. It has changed hands many times over the years and owners United Distillers (forerunner to Diageo) mothballed the Benromach distillery in 1983. In 1993, independent bottler Gordon & MacPhail purchased the distillery and in 1998, Benromach began producing spirit once again. The distillery's 10 year old expression hit the market in 2009. The Benromach website refers to their malt as a "classic pre-1960s Speyside". Now I don't know what this means exactly, since I was born at the tail-end of the 1970s and my financial portfolio does not permit me to purchase bottles from that era. I'll take them at their word. One of the unique features of Benromach is that they use a dunnage warehouse. A dunnage warehouse uses stone walls, an earthen floor, is not climate controled and allows the seasonal variations to affect the casks and the spirit contained therein. Does this impart a different flavour and character than warehousing in a large, climate-controlled industrial warehouse? I have no idea. You can watch this video (opens in a new window) to have it explained to you by a Scotsman from Benromach. 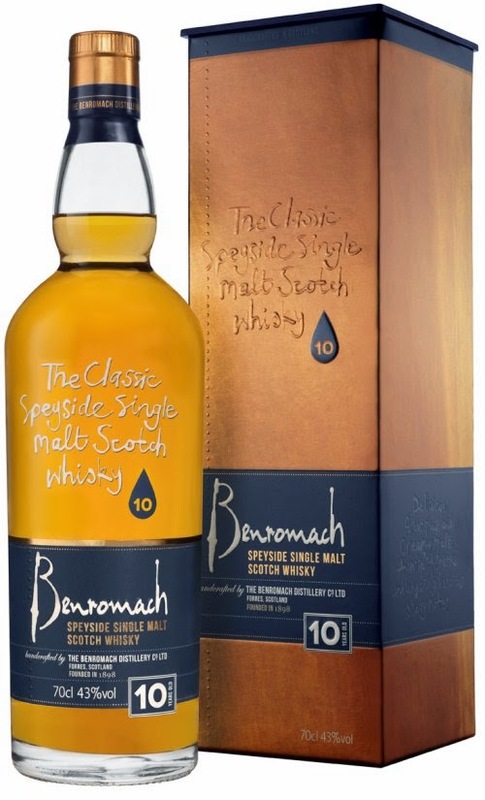 What does Benromach 10 taste like? Funny you should ask. Adding water really opened up this whisky. It is really good neat. It is incredible with a small splash of water. The nose becomes much fruitier and more focused. Grilled pineapple appears on the nose right after the raspberries. The vague "herbal note" on the nose becomes much more akin to cardamom. The taste becomes fruitier and "clearer" as well. You don't really lose any of the nice creaminess of the body, and the fruit becomes evident. Usually, sherried whiskies carry dates, figs or raisins on the palate. Not so with Benromach. The fruit is brighter and more vibrant. Now the maturation is 80% first-fill bourbon barrels and only 20% ex-sherry casks so this isn't a sherry-bomb by any means. However, the combination works brilliantly. This may be the best whisky bang for your buck I've ever encountered. *moreish: refers to a food or whisky that you constantly want more of. Remember that Lay's Chips slogan? "Bet you can't eat just one" That's moreish. I've often told people not to judge whisky based on its price tag. Benromach 10 costs $59 here in Ontario, the most expensive scotch whisky jurisdiction in the known universe*. That's not a lot of money for a very high quality single malt. If you are unsure about peated whisky, this might be a good place to start. The smoke and peat are present, but Benromach 10 won't burn your taste buds like Dwight Schrute burned Roy's eyes whilst protecting Jim Halpert. But Benromach definitely makes its wonderful presence known, albeit subtly, much like Pam Beesly. My only gripe, and it is an admittedly minor one, is that I'd like this malt at a slightly higher strength. Benromach does indeed make a 10 year old at British Imperial 100 proof (approx. 57% ABV) that I'd love to try, but I think the "standard" would benefit from being bottled at 46%. That said, this is a great malt and well worth the sixty bucks. Highly recommended. Thanks for the kind words, Keith. Yup, very nice review. I don't find the peat or smoke prominent at all but they are hanging around back there.